Signed first UK edition. 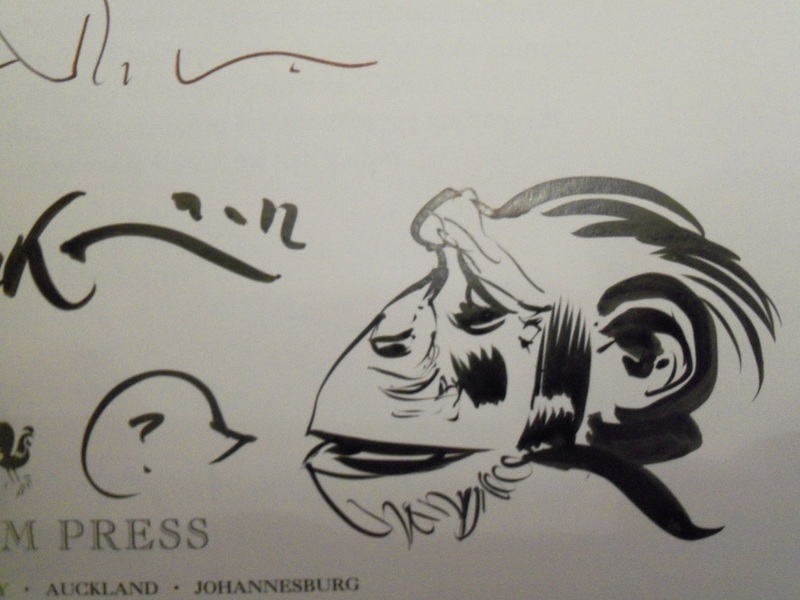 Signed by Richard Dawkins and Dave McKean. Remarqued by Dave McKean. Synopsis : What are things made of? What is the sun? Why is there night and day, winter and summer? Why do bad things happen? Are we alone? Throughout history people all over the world have invented stories to answer profound questions such as these. Have you heard the tale of how the sun hatched out of an emu's egg? Or what about the great catfish that carries the world on its back? Has anyone ever told you that earthquakes are caused by a sneezing giant? These fantastical myths are fun - but what is the real answer to such questions? "The Magic of Reality", with its explanations of space, time, evolution and more, will inspire and amaze readers of all ages - young adults, adults, children, octogenarians. Teaming up with the renowned illustrator Dave McKean, Richard Dawkins answers all these questions and many more. In stunning words and pictures this book presents the real story of the world around us, taking us on an enthralling journey through scientific reality, and showing that it has an awe-inspiring beauty and thrilling magic which far exceed those of the ancient myths. We encounter rainbows, our genetic ancestors, tsunamis, shooting stars, plants, animals, and an intriguing cast of characters in this extraordinary scientific voyage of discovery. Richard Dawkins and Dave McKean have created a dazzling celebration of our planet that will entertain and inform for years to come.